As history has it, there was a goat herder named Kaldi, who is believed to have found the coffee beans in the highlands of Ethiopia. He accidentally discovered the awakening effect of coffee after noticing his goats eat the berries and they were not able to sleep throughout the night. Coffee then spread along the Arabian Peninsula Yemen, Egypt, Turkey, Syria, parts of Persia and then landed in Europe around the 17th century. In England, coffee shops opened and were dubbed “Penny Universities” because you were charged a penny for the coffee but you would eventually engage in very intense academic and other social discussions. Others affectionately called these coffee shops “School of the Wise”. In Ethiopia coffee is a tradition; stemming from the discovery of the Coffea Arabica which is the typical coffee plant. Ethiopia is the world’s seventh largest producer of coffee and boasts dominant exports to Europe and North America. Coffee backs the entire economy of Ethiopia, prior to Khat (also a stimulant flowering plant chewed mostly in the Horn). The Ethiopian Yirgachefe, Gedio coffee beans are one of the most highly sought-after beans and are thus quite expensive. They are characterized by their mild, fruit-like and aromatic characteristics. Coffee in and around Harar, the Eastern part of the country, is grown and brewed somewhat similar to other places although the taste and qualities differ. The coffee beans around this region are dry-processed and classified as Mocha (peaberry), shortberry and longberry. Harar coffee beans have a dry edge, the richest aroma and are heavyweight. As most of the farmers around this region grow and sell Khat, they most likely also have small farms for a coffee plantation. As the name suggests, it is believed to be the birthplace of coffee in Ethiopia. In this region, it is the defacto standard coffee bean available and is highly sought after by tourists and locals. The Jimma coffee beans which are grown at an elevation of about 5500 feet above sea level, produces one of the first-class low-acid Ethiopian coffee which is renowned for its wetness (washed). Located in the southern region of Sidamo, Gujji’s coffee beans are characterized by sweet floral notes, such as jasmine with melon and peach notes, and a tea-like body. 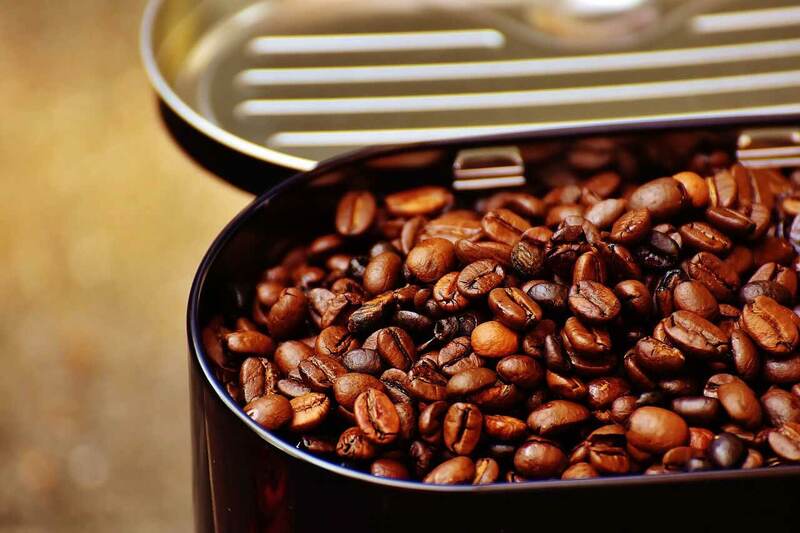 This type of coffee, grown in the Bench Maji Zone of Ethiopia, is a type of Arabica coffee and is characterized by its small and grayish beans, spicy and chocolate-like taste and aroma. Coffee beans from Gimbi, Wollega which is situated in the western part of the country produces a balanced, heavier in weight and long-lasting body coffee bean. It is sometimes referred to as coffee from Nekemte and is among one of the most expensive coffees in the market exchange. This region contains most of the coffee production farms including Yirgachefe coffee which is found in this region. 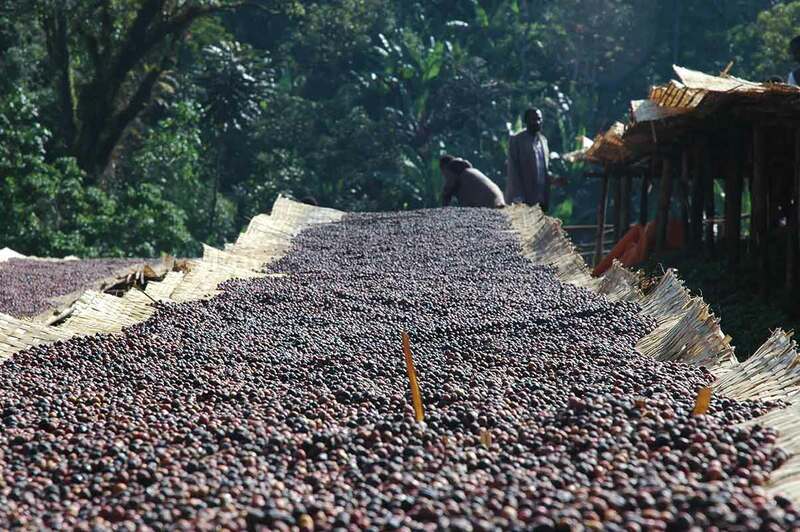 While Sidamo has a lot of coffee bean types, they are characterized by their rich berries and citrus content. The coffee beans grow very slowly and as such will have the strongest and the nicest aroma because they effectively absorb the necessary nutrients. Other regions also produce coffee, although in smaller quantities and include Illubabur, Limu, Amaro, Tepi, Welayta, Bebeka, Borena, Arsi and Bale. Lately, there has been some dispute among the ethnic groups who claim to be the sole originators of coffee in Ethiopia. Among these regions are Kaffa and Jimma, both of which are the cornerstone of the country’s coffee producers and suppliers. Some historians point out that the word itself is self-explanatory as the etymology of the word Kaffa is thought to be from the Arabic word qahwah which literally means “a drink from berries”, hence the English word coffee is derived from this logic. In contrast, others claim Jimma to be the birthplace of this bean. Nonetheless, Ethiopia still boasts the birthplace of the Coffea Arabica. 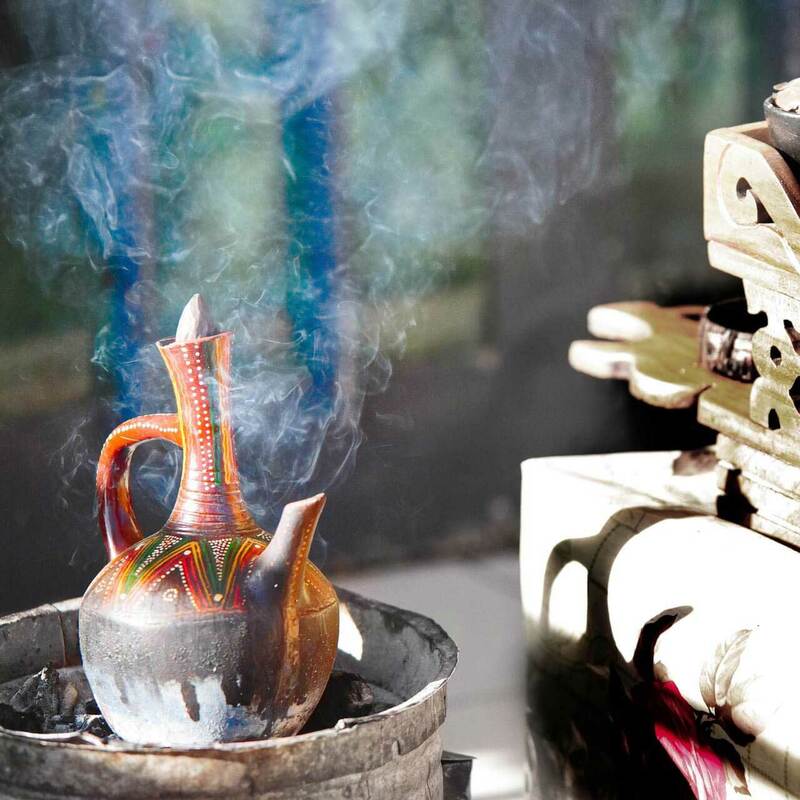 Locally known as “Buna”, coffee can be prepared in a few simple steps. Start by boiling the water while continuously roasting the beans. After roasting it is a very common practice to let others smell the aroma of the roasted beans. Use a pestle to grind the beans until they are almost completely fine. Add a teaspoon of the fine coffee beans into the “Jebena”. Now let the kettle rest still and do not move it around. After a minute or two start pouring the coffee into the cups locally known as “cini” without stopping between multiple cups. 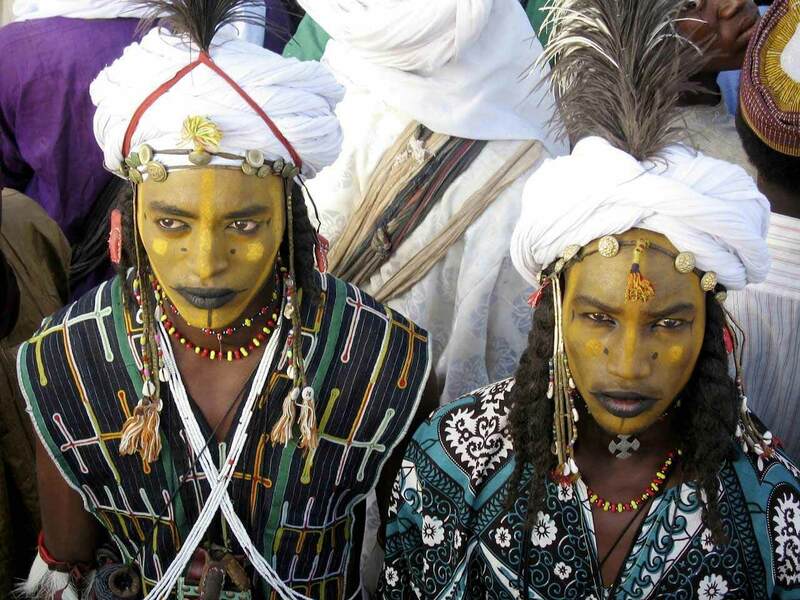 By this time, you have served a nicely prepared Ethiopian coffee and you can optionally also serve popcorn and burn various traditional incense locally known as Etan for the ceremony. Finally, repeat these steps 3 times. Often the first round is Abol, the second Tona, and the last round Bereka. Subscribe via Email to our Newsletter! Get our latest stories and updates! 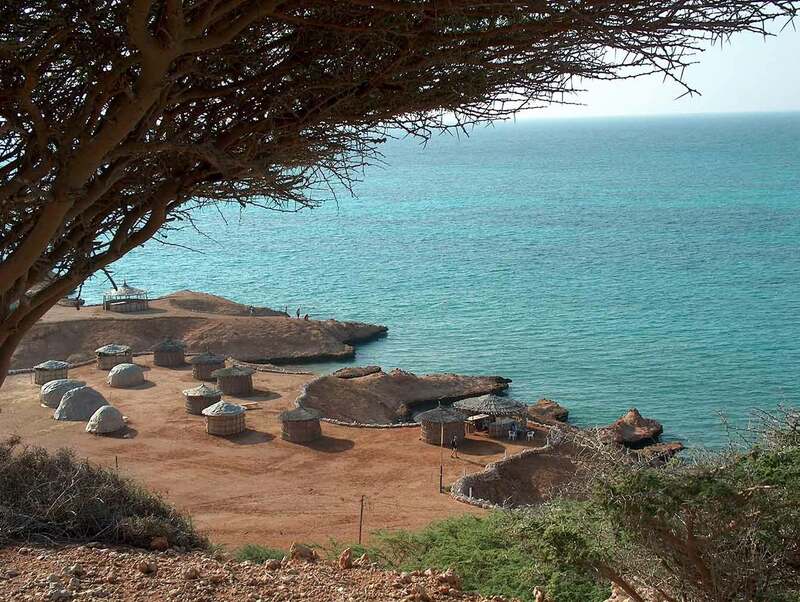 Could Djibouti be your next holiday destination? 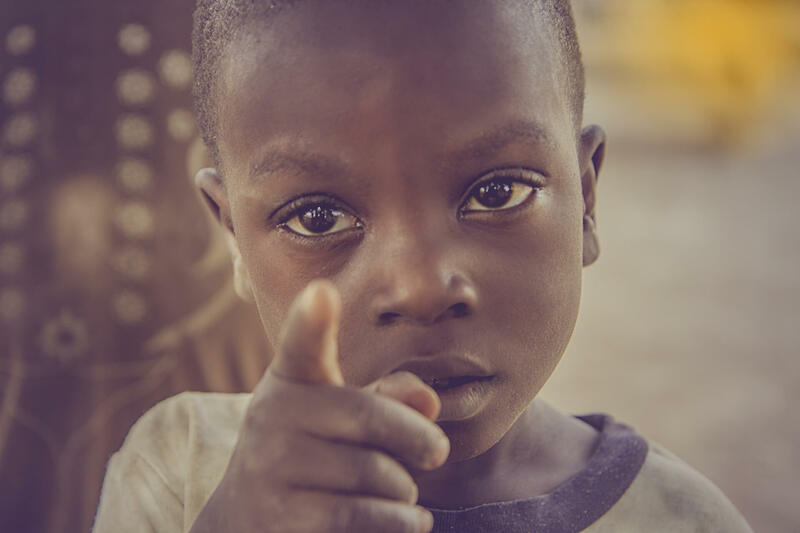 African stories, people, travel, food, entertainment and much more. Discover something new about Africa today. 2019 portaltoafrica.com. All rights reserved.